There is nothing worse that waking up early after staying up late preparing for a fishing trip only to find the wind blowing way to hard to get out on the water. If you fish Lake Ontario, Oneida Lake, or any similar water there is no doubt you have had one of these mornings. This has happened to me the last two days. The wind and rain have been to intense to get out on the water. I normally take advantage of these days by getting work done around the house. After all a happy wife is a happy life. Some days I just can’t get the fishing bug out of my head though. These days I like to spend tying flies, putting new line on my reels, or writing about fishing. There is also the most expensive blow off day activity buying new gear. I try to stay away from this last one even though it is the most fun. What do you do on blow off days? Decided to go out this morning and row around to see if the Brown Trout where hitting yet. The answer was yes. We fished for one hour and 40 minutes had 4 hits and landed 3. Two nice brown trout and one very nice steelhead. The wind and waves picked up so we headed in happy with our catch. 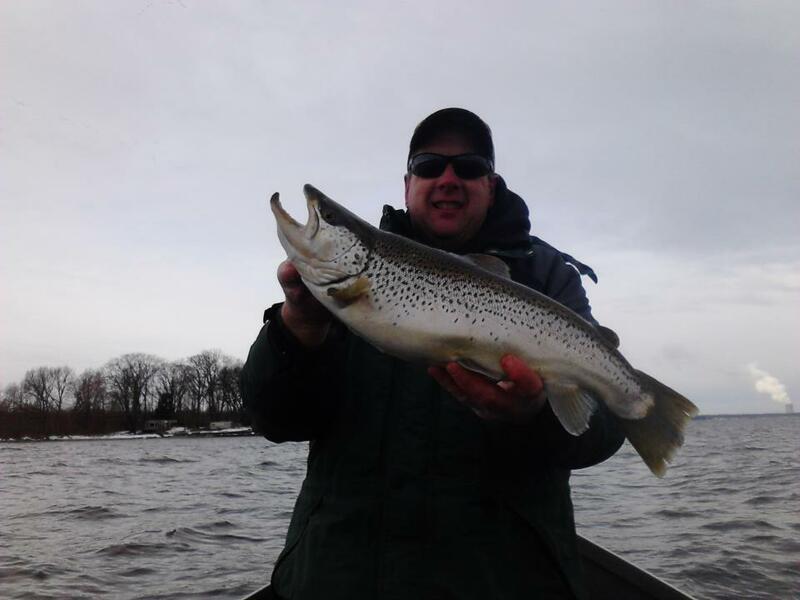 A nice bonus when fishing Lake Ontario for Brown Trout. 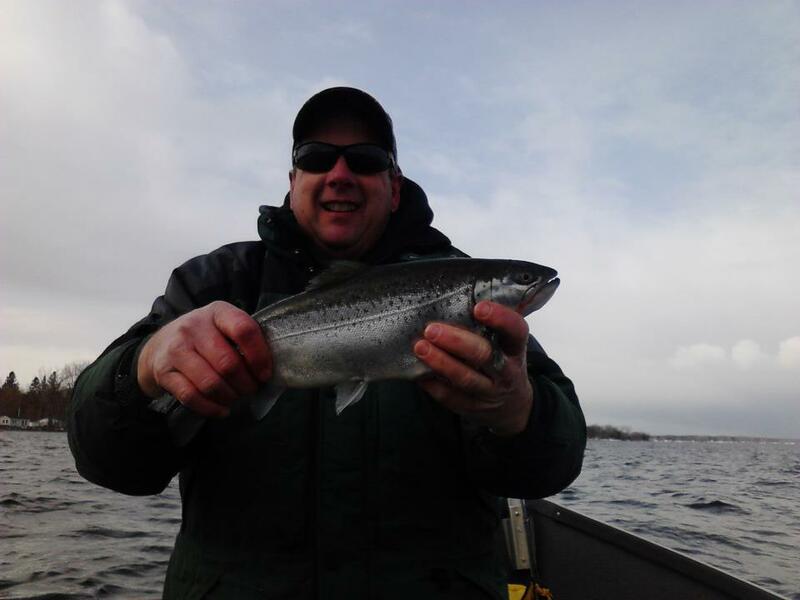 Float fishing with a center pin reel has become one of the hottest ways to fish for steelhead. It’s many advantages include precise depth and speed control along with a very natural and long drift. When fishing small streams many people believe there is no advantage for the pin due to the short drifts and shallow water that is commonly found on these waters. This is far from true. These smaller waters often have small pools and short runs that are perfect for float fishing. The pin gives your the advantage of being able to precisely run your bait through each section of these pools and runs. You will want to change your setup to match the water you are fishing. One problem with small waters is they often have over hanging trees and brush that can get in the way when fishing with the long rods normally used when pin fishing. There are to options you can choose from to fix this problem. The first is buying a second center pin set up with an eleven and a half foot rod. I like the St. Croix personally. However this is a costly fix especially if you don’t fish small waters all that often. The second option is to put your center pin reel on the nine and half to ten and half foot noodle rod you probably already own. This will cut down on the distance you are able to cast but on small streams it is not an issue. The other setup change that will need to be made relates to the low clear water you will often be fishing in. 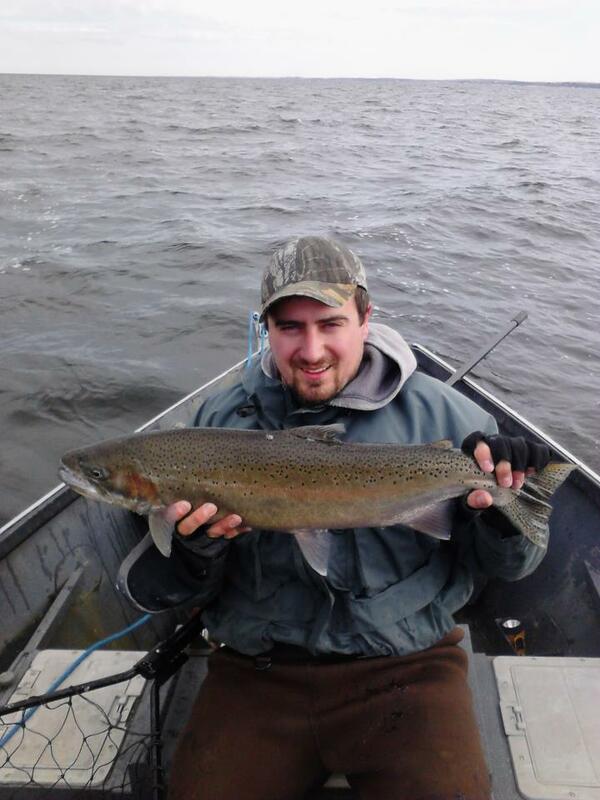 The floats you normally fish on larger waters will often be to large. They will either make to much splash when entering the water or will easily be seen by fish due to the short leaders you will be fishing. I recommend get some floats ranging from 4 grams to 2 grams for fishing these streams. This will allow you to fish shorter leaders and cast quietly. Don’t forget you may want to drop down to 4 pound leader material when the water is low and clear.